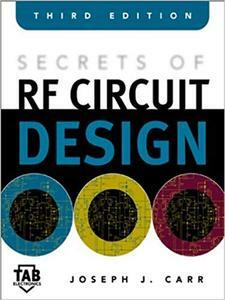 Joseph Carr, "Secrets of RF Circuit Design"
If you like hands-on electronics, you&#8217;ll love Secrets of RF Circuit Design, Third Edition, by Popular Electronics writer Joe Carr. 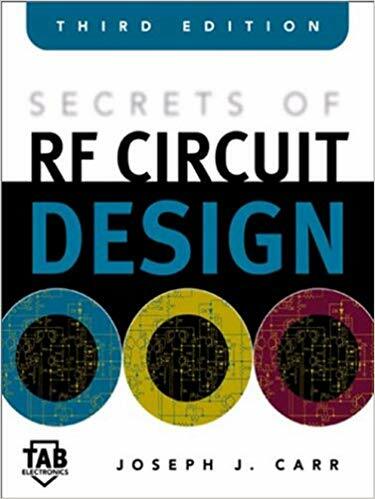 This update of the favorite RF circuit guide of thousands of electronics enthusiasts takes you inside wireless technology with step-by-step, illustrated directions for dozens of usable projects. This super guide demonstrates RF theory as it shows you how to overcome the technical and materials challenges facing those who build real-world electronics. You learn how to design and build receiver circuits, RF bridges, amplifiers, receiver preselectors, simple spectrum analyzers, and time domain reflectometers. You get detailed insights into simple RF instruments, as well as UHF and microwave components&#8230;complete troubleshooting guidance&#8230;and handy parts lists and components sources. This new edition packs the latest information on directional and hybrid couplers, and seven new chapters on demodulators, circuit vectors, measuring L-C circuits, and filtering circuits against EMI.